Beau Bleasdale, a hit man with a simple plan. Unfortunately for Beau, it's not going to be as simple as he thought. 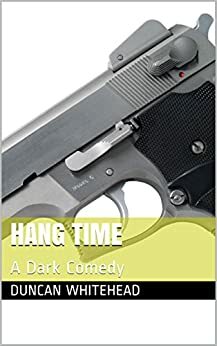 Here's twenty pages of dark satire, humor, comedy and drama all mixed up in a delectable morsel for your enjoyment. Duncan Whitehead is an adroit and literate writer who always hits his mark. This time, he's got a hit man, Beau Bleasdale, who has a simple plan. But the simplest things can get complicated... Great fun. Five stars. A very good, short, dark comedy. Very well written and a very well developed plot for such a short book. An entertaining read. He did it again. Love the perspective. A wonderful viewpoint. Humorous in its delivery. I'm loving Duncan Whitehead's talk stories.